1) Yesterday, the oldest cigar maker in the Dominican Republic announced the launch of a new four-blend line called Black Lion. 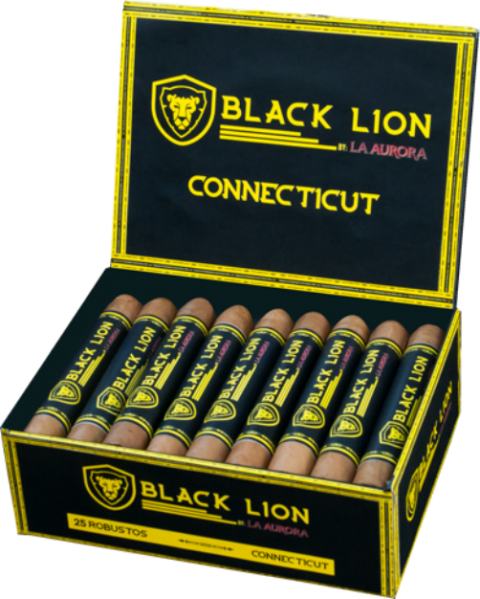 La Aurora Black Lion will be featured in Connecticut, Corojo, Maduro, and Cameroon varieties. Connecticut will pair a Connecticut wrapper with an Ecuadorian binder and filler tobaccos from the Cibao Valley, Nicaragua, and Peru. Black Lion Cameroon will have a Cameroon wrapper with an Ecuadorian binder and fillers from the Cibao Valley and Nicaragua. Black Lion Maduro sports a dark Cubra wrapper with a Brazilian binder and fillers from the Cibao Valley, Brazil, Nicaragua, and Peru. And Black Lion Corojo will pair a Corojo wrapper with an Ecuadorian binder and fillers from the Cibao Valley and Nicaragua. Four sizes will be available: Robusto, Toro, Gran Toro, and Churchill. Each cigar will come in 25-count boxes with modern packaging that’s a clear departure from La Aurora’s typically classic approach, which leans heavily towards traditional. 4) From the Archives: With summer just around the corner, it is a good time to make sure you are protecting your cigars from the potentially damaging effects that heat can have on proper storage. This tip will walk you through the basics, including providing four suggestions for making sure your cigars are properly shielded from excessive temperature. 5) Deal of the Week: Crowned Heads fans will want to jump on this special from Smoke Inn. For a limited time, buy any box of twelve Crowned Heads blends and get a free five-cigar travel case. Plus, use the coupon code “Stogie10” to knock ten percent off your order. I am not aware of these being exclusive to any retailer. Usually retailer exclusive cigars make the exclusivity very apparent in the press releases.